There are no words to describe the devastation that the nation of Nepal has been struck by. Seems as though the very forces that gave this country its beautiful rugged natural beauty is set out to destroy it. I traveled to Nepal when I was in middle school as part of a class trip through the Helambu Trek, but we also spent a few days, before and after wandering into Pokhara, in the capital of Kathmandu. My classmates and I with our teachers had breakfast at the famous Ben’s Cafe with its infamous, and massive bees buzzing by; we shopped on the city’s broken streets framed by temples and bought local embroidery handicrafts. But more than anything I remember the cold mornings on our trek, and the warmth of the Nepalese sherpas who bought hot tea and biscuits to our tent’s zippered front door. I remember those well-traveled men who knew the mountains and valleys like their own back hand sharing their knowledge with us, welcoming us into their land. When disaster of this magnitude strikes, it is Mother Nature who reigns supreme. 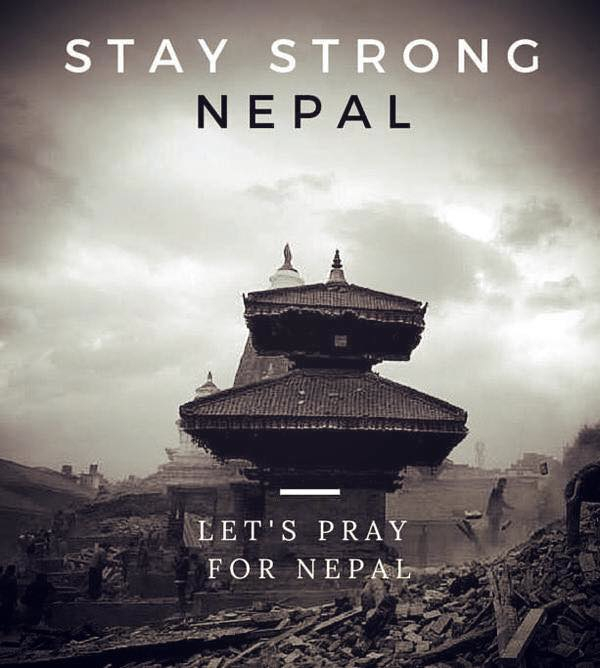 Let us join together to pray for Nepal, and you can donate to the Red Cross here.